The first mode they showcase is a rip-off of Siege. The second of PUBG. I am not convinced about the first (it seems less complex than Siege and definitely less cool-looking), but the second may be worth playing, for the choppers(/aircraft? ), if for nothing else. Looks pretty good. Finally something to play on Blizzard on the regular. Choppers, wingsuits, underwater shooting, Siege-like deployables, hookshots, and graphics a generation ahead of PUBG. First good game on Blizzard App, as far as I am concerned. I am in day 1. 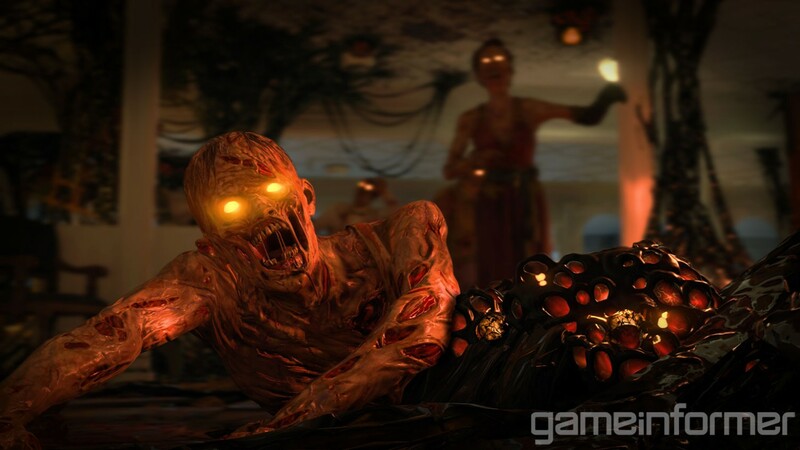 Javy Gwaltney wrote: However, the most immediately noticeable detail is that Blackout features A.I.-controlled undead foes designed to introduce even more chaos into this hectic free-for-all. If you've played any of the zombie modes in the previous Black Ops games, you probably have a wave-based defense game in mind. However, Blackout's zombies, and how they fit into battle royale, are a bit different from the traditional mode. What kind of name is "Javy Gwaltney"? icy stated during some Blackout games that he's been liking the game more and more as he spends more time with it and I agree with him. It not only has the smooth and polished FPS mechanics of what you would expect from Call of Duty but the developers also made their own improvements and seemed to take some inspiration from Rainbow Six Siege. First, the looting system has been streamlined and actually encourages you to loot everything since the perk items and gadgets are dangerous in the right hands. The perks last for a certain duration while equipped but give you abilities like silent footsteps, faster and potent healing, and greater mobility. As for the gadgets, they allow you to fortify your position with barricades, razor wire, and mines. Not only that, but you can grab radar and recon drones to further secure yourself. The only thing missing is destructible environments, perhaps Battlefield V will get it right. I also see Dying Light and Hunt: Showdown in its DNA. This game is PUBG injected with R6 + DL + Hunt, to various degrees of success, and with a lot of polish. Not sure how much staying power it will have with me, but right now, with a full squad, it is a rush every round. The only major negative is the drastically smaller map, which drastically reduces the vehicles' usefulness (especially the cool AF helicopter's, which is one of the game's headline features), and, to a lesser extent, the aspie setting/map design. That's my review right there, in a nutshell, so far at least.